It’s OK to admit it: you pulled apart the puzzle box that is “Westworld” Season 1 until you were experiencing reveries yourself, right? No worries, we did too. But now that it’s been over a year and a half since the theories and details were unpacked, it’s time to piece it all back together to make sure we’re ready for the HBO series’ Season 2 premiere on April 22. 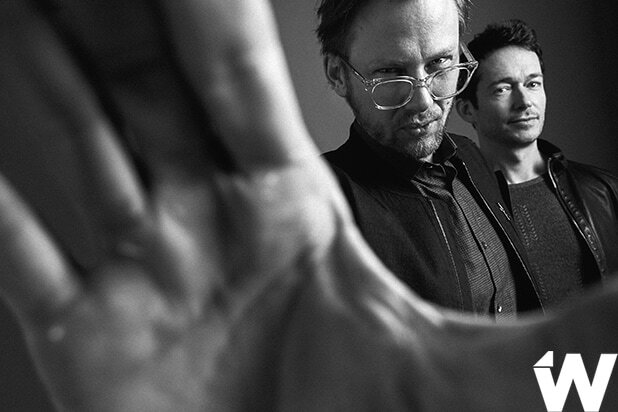 That’s why TheWrap enlisted “Westworld” stars Jimmi Simpson and Simon Quarterman to help us, help you. In the video above, Simpson (who plays William a.k.a. the young Man in Black) and Quarterman (who plays Lee Sizemore, the head of Westworld’s Narrative Department) answered 13 of TV reporter Jennifer Maas’ very important questions about Season 1. Sure, you know the basics, like “Who is a host?” and “Who is a human?” (Actually, is that one basic at this point?) But do you remember exactly why Delos Destinations was trying to oust Robert Ford (Anthony Hopkins)? How about which characters are missing and which are dead? Oh, how about all those tricky timelines? That’s what we thought. Simpson and Quarterman did such a bang up job of unwrapping (get it?) the freshman installment of Jonathan Nolan and Lisa Joy’s sci-fi hit, that you may not need to spend 10 and half hours re-binging the first 10 episodes before next Sunday. Of course we’re not gonna stop you from doing everything you can to bring yourselves back online properly. “Westworld” Season 2 premieres on April 22 at 9/8 c on HBO.